Home » Q&A » So what airspace CAN I fly in while using a drone in San Francisco? So what airspace CAN I fly in while using a drone in San Francisco? Editor’s Note: This post was made in 2017. Please note that drone laws are rapidly changing and may be different today vs. when this post was written. Next up in our “Ask Drone Girl” series is about finding where you can legally fly your drone — specifically in San Francisco. If you have a question for Drone Girl, contact her here. I’m going to San Francisco for a wedding at the end of May. I wanted to bring my drone and capture some shots of such a beautiful city. However, it seems like just about everything is restricted. Can you recommend some good safe places to fly out there? I’d hate to bring it all the way out there just to find out I can’t fly it anywhere. Welcome in advance to San Francisco, and I’m thrilled to hear you want to take pictures of the beautiful city that I live in. You are right — a LOT of places that our totally incredible also fall in restricted airspace. Most of the beach area on the western side of the city is part of a National Park, as well as the Presidio and Alcatraz. Then, you’ve got the airport down in the southern part of the city which prevents you from flying, as well as Oakland airport on the opposite side of the bay should you want to fly there. First, keep in mind there are differences in the rules based on whether you are a hobby pilot (perhaps you are just racing with friends or taking pictures for fun) vs. a commercial pilot (maybe you are using your drone to film a movie or gather data). Recreational pilots operate under guidelines in which they acknowledge they will stay below 400 feet, stay away from manned aircraft, and stay 25 feet away from people. Rules for commercial pilots are stricter, including agreements to fly only during daylight. Please check the Know Before You Fly website before flying anywhere. My first piece of advice is to check the Know Before You Fly website’s airspace map, which can tell you whether or not the place you are flying in is restricted airspace. 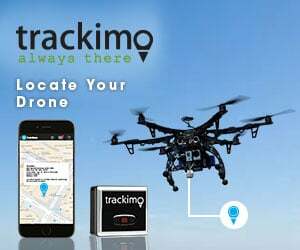 Simply plug in the coordinates of where you are flying, and check the box for either hobbyist or commercial flight as well as the other boxes such as National Parks, and it will let you know if you’re in the clear or not. So of the places that are legal to fly over, what are some of the best spots? I would highly recommend Golden Gate Park. There are some really cool spots there — the Japanese Tea Garden, the carousel, and the promenade between the Cal Academy and the DeYoung museum are all awesome. I also tested out my Mavic in front of the Conservatory of Flowers and got some epic aerials of the flowers in front! I also love Treasure Island. It’s extremely sparsely populated, making it a safe spot to fly, while getting a great view of the city’s downtown area. And there are some awesome wineries there to visit — after you drone of course. Besides that, there are great, iconic spots in the city — City Hall, Coit Tower and the Ferry Building. While you can fly there, be wary of GPS (buildings may affect your drone’s ability to hold its position) and flying over people — you’re in a city of course. One day, I’ll stop trying to make you feel discombobulated with my photography. Until then, another perspective of #coittower. Today, @drone_360 named my account, along with @eric.t.ringer, @simeonpratt, @ottocarlin, @karimiliya, @wrenees, @charlesmostoller, @issabellen, @unoalto, and @airloft in their 10 IG Accounts for Awesome Drone Photos. I threw the link up in my profile, check it out. Another favorite shot from last night’s flight. San Franciscans, where would you recommend Dan fly? Leave your ideas in the comments below! That’s cool, I always thought of SF as a massive no fly zone, so it’s nice to know there are some places you can go! You should mention how most of SF becomes a no fly zone any time there’s a Giants game in town. The MLB issues TFRs, called “stadium TFR”, which cover not only game time but also several hours before and after each game. That’s a great point! Thanks for adding that. Does this apply to any activity at AT&T park. Tonight, about 10p.m. many of us at the concert looked up to see a drone hovering over the field. Once a large number of people were pointing, it sped off behind the lights and hovered for awhile at a distance then disappeared. Several small planes were flying above us at a lower elevation during the concert as well. It was odd. Are such concerts covered under the no fly zone TFR? Wonderful article as I’m looking to come up to SF from Australia and I’m bringing my Mavic to do some shots. I’ve found your article and https://blog.hivemapper.com/top-10-places-to-fly-a-drone-in-the-san-francisco-bay-area-2cda9eeea8ac as two that help. I see here that you can fly in Golden Gate Park. But that is part of the Golden Gate National Park. So it should be off limits. Still, I see lots of shots around GG Park. I’m guessing those are illegal, but who knows. This “You can fly here or You cannot fly here” thing is very confusing. Actually you cannot fly drones in Golden Gate Park, nor any National Park. State parks are place by place up to the locals, all East Bay and all Santa Cruz are currently off limits for drone operators. You can get a $125 fine (and yes I’ve seen that happen) when flying in a park that’s restricted. — A grassy field in the upper parking lot of Seacliff State Beach was also excluded from the Santa Cruz District. — Shoreline Muir Beach Overlook and Fort Funston are also open to drone use when hang gliders and para-gliders are not in the air, according to the National Park Service. Golden Gate Park is a city park in the western park of SF. You might be thinking of the Golden Gate National Revreation Area. I was told by a park ranger that GG Park is off limits as part of the Golden Gate National Park system. Nice post, have you flown over Lombard street? do you know of any restrictions there? I think one of the commenters is confusing golden gate park with the golden gate national recreation area. The first is a city park, the second is federal. Actually this is not always correct – there is an airport approach there but I found calling the tower and getting permission to be VERY easy; the staff has been hugely cooperative for several requests ( but be sure to get the TOWER staff not just whomever answers ) . There is also the marine sanctuary area to be aware of as well as the State Park Beach ( no drones until the regional manager figures out a plan ). You also need to be very aware – there are MANY flocks of shore birds in the area – accidentally impacting one with your drone would not be a good thing ! In some cases ( pelicans ? ) it may even be a crime. So use prudence and common sense. I teach the Drone Aerial Imagery course for the SF Art Academy and lets try and clarify a few locations. Golden Gate National Park is off limits; as is all national parks and this includes places such as the Presidio, and Fort Mason. City Parks are also restricted without permits for both hobbyists and commercial operations. To film most city landscapes you must get permission and a permit from the SF Film commission. GGNRA: Golden Gate National Recreation Area covers all the shoreline on the West side from the Bridge all the way down to almost Pescadero. What does that mean? It means you can not fly over the beach areas; i.e. where the sand is located. You can in many locations fly over the opposite side of the highway in many areas. So Half Moon Bay for example you can’t fly over the beach however you can fly over the residential areas on the east side of Highway 1. Most of the time Local Law Enforcement does not know the rules. I always have a copy of my Part 107 license, a copy of the regulations, any permits required and when you begin to educate their niavity most will leave you alone to fly. Also keep in mind for SF, there are restrictions flying over the Port of San Francisco properties as a general rule. Most of San Francisco except the southern portion sits Under Class B airspace for the airport and as long as you are at Treasure Island or north at for example Alameda Naval Air Station you can fly Under Class C airspace for Oakland and Treasure Island is a great location and every WED the Drone Racing League meets there to have fun in the connex area. Feel free to email me or message me if you have any other questions about the city. Keep in mind, the Bay Area as a whole is one of the most complex airspace environments in the world. The Peninsula has so many airports that flying almost anywhere in San Mateo County is protected. Can you tell me if it is legal to fly in the areas that are mentioned in the Drone Girls article (Golden Gate Park, Coit Tower, Ferry Building, City Hall)? Do I need to get a permit or permission? It seems from your comment above that it is legal to fly in Treasure Island. Is, that correct. Thank you! but really, all these places are “you can fly if you dont get caught” which is what these people are doing. it helps if you’re a girl or a foreigner in case of problems with the police or park rangers. I fly by the ferry building often, they just don’t want you hovering or orbiting around the clock. That pretty much can rule out anywhere in SF to fly, which I could understand. What are your thoughts and any suggestions in the Sonoma/Napa area? The author got something very wrong. The SFO airport is not in the Southern part of SF. It’s not even part of South San Francisco which is another city completely. It’s more by San Bruno/Millbrae which is 25 minute drive South of the city of San Francisco. I’m a new drone pilot, and this post came up first when I googled “sf drone laws” (good job on the SEO :-)). However, the advice (and pictures) in the post run contrary to my understanding. As far as I know, flying in GG Park, or any SF park, is prohibited, as if flying without permission downtown. While I appreciate your picture of the Japanese Tea Garden, artistically, is not VERY illegal to fly above people? There are dozens of unaware people below the drone in your tea garden pic. I believe such flights violate both local ordinances and FAA regulations. Also, while your picture of the Transamerica building is an appealing image, it was clearly taken both downtown and well above the 400′ limit imposed by the FAA (I’m not sure that the 400′ exception for man-made structures applies to a densely populated urban area). You seem to be an “authoritative” voice in the drone community. I think with that comes the responsibility to promote responsible piloting and discourage reckless behavior. I’m not sure this post meets that objective. Welcome to the community! There is a lot of confusing information out there. I’ll clarify your questions! National Parks have banned drones, which means you cannot legally fly in the Golden Gate National Recreation Area (that includes the Presidio, Crissy Field and the Golden Gate Bridge). However, Golden Gate Park is actually city owned and NOT part of GGNRA (it’s confusing — I know!). Thanks, too, for the prompt and friendly reply. I’ve lived here a long time, and of course understand the difference between Golden Gate Park and the GG NRA, and that federal regulations prohibit flying in the latter. My concern is about SF regulations. I’ve heard more than once about people being ticketed for flying drones in Golden Gate park for violation of Section 3.09 of the Park Code, which prohibits “any apparatus or machine of aviation” from being operated in any SF park. Admittedly, this regulation was written in 1981, and one could reasonably argue that it doesn’t apply to drones. But IMO it’s still risky, if people are getting fined for it. Also, I stand by my comment that flying over unsuspecting people (like the tourists in your Tea Garden photo) should ALWAYS be avoided. I’m coming to San Fran next month and wondering is Angel Island State Park is a no fly zone or not. Any one know? Drone Girl needs to brush up on city ordinances- SFRPD (Rec & Parks) does not allow drones in city parks. Golden Gate Park is a city park. Golden Gate National Recreation Area (GGNRA) is is federal land/ National Park. Drones not allowed in either area. Also GGNRA encompasses park land in San Mateo, SF & Marin county. The drone girl keeps on mentioning about http://www.knowbeforeyoufly.org in her posts but eventually it’s what’s shown on B4UFly app that matters as latter is made by the FAA. First off nothing against Dronegirl her shots are beautiful and I’m jealous. With that said there is a lot of misinformation here, not saying it was incorrect when this was posted but San Francisco is very difficult to find a place to legally fly. The app she mentioned is good because it shows the restricted parks you can’t fly in, but like the comment above mentions the B4UFly app is from the FAA. Also, all San Francisco city parks including Golden Gate Park is protected under the law below and has a fine of $125 plus fees. You could also have your drone confiscated and in an extreme situation you could be arrested, highly doubtful but possible. Please do your own research before flying. I made the mistake of taking this post as it’s ok to fly in these areas and flew both at Golden Gate Park and Civic Center and later found out I could have been cited. HOT AIR BALLOONS, ETC. PROHIBITED. gency situation. (Added by Ord. 603-81, App. From everything I’ve read here and elsewhere, it appears that Treasure Island is the best place to fly.. Is this still true? I know the drone laws are changing almost daily. Hi! Is it possible to fly over Lombard Street (the scenic part of Lombard Street, I meen…)?